Copysmith is a registered business in The Republic Of Ireland founded in April 2015 by Adrian Sandelance. Adrian began his career in the media business as a 16 year old in 1984. School was out and there was work available at Trace UK in St Albans, UK. Huge machines named autoloaders copying 8″ floppy disks needed an operative to stack them an unload them , and a young Adrian spent several weeks of his summer doing just this. 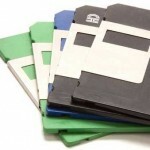 In 1986 Adrian began working with a company named Memo Computer Products selling computer consumables, floppy disks, magnetic tape, printer ribbons, toner cartridges etc. Memo would make a move into selling floppy disk duplicators. By 1988 Adrian had moved on to LAAN UK, a company with a similar brief as Memo Computer Products, in that it too sold consumables and floppy duplication equipment. There was also a duplication services department at LAAN that operated Trace 1020 duplication systems for 5.25″ and 3.5″ floppy disks. 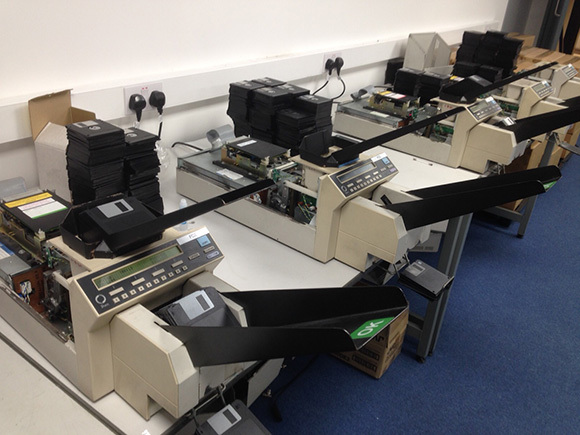 A move to a new venture, Boland Developments, in 1991 saw Adrian involved with the development of a new 3.5″ floppy disc duplicator and also heading up the duplication services bureau also operated by Boland. Intecc Limited saw Adrian move once again in 1995. 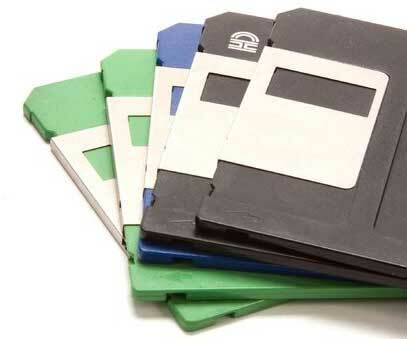 Intecc’s sole concentration was on duplication services, at this time still 5.25″ & 3.5″ floppy disks, although a little revolution was beginning in written optical media that would largely see the demise of floppy disks. With CDs were beginning to take hold and a move to Ireland in 1998 to work for an American Corporate (20th Century Plastics became Centis) who manufactured packaging for CDs and DVDs proved to be a wise move. Clients included Microsoft, Sony DADC, Technicolor, Avarto, MPO plus many other replicators. A short period follows with Ipac Media Packaging followed before moving onto Complete CD Services, a supply company providing media and packaging to CD & DVD duplicators across Ireland. A Switch to Univenture saw Adrian return to the products he had sold at 20th Century Plastics. Consultancy work for Golding Products a UK based replicator, duplicator and supplies operation followed this until finally in 2015 Copysmith was formed. With over 30 years experience of copying, packaging, machine sales and service sales all based in the media duplication industry Copysmith is Adrian first solo project. As with all new ventures things take time to happen. However, with knowledge gained over the years on online marketing and a range of other service including cine film and video conversions, audio tape and cassette conversion plus photo and slide scanning the Copysmith services portfolio grew and grew. With vinyl records making a come back Adrian decided that Copysmith should not only provide a service for manufacture of 100 units up but also a low volume service where one off vinyl records could be ordered for presents, presentations, promotion etc. The first months saw a steady increase in sales and gave a basis for further growth during 2016 and 2017. This allowed further investment in equipment, software and processes. To service duplication requirements Copysmith now has 3 tower units that between them provide 18 duplication drives which allows for outputs of upto 400 CDs per hour. All of these drives produce CD and DVD whilst 3 of these drives will also produce Blu-ray. 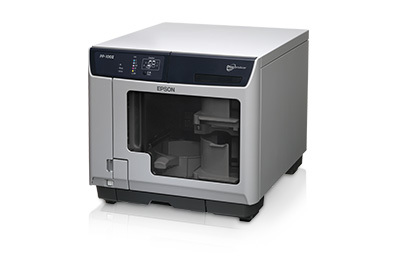 Disc printing is catered for by Epson Disc Publishers which also give a further copying drive option if required. The use of file uploads has proved invaluable to our clients. This is simple time saving and allows mp3, mp4 or other such files to be delivered to us in a matter of minutes. Our upload page is publicly available for all our clients to upload source material and artwork. Good relationships and great work come from collaboration. We’re excited to produce your products for you, learn about you, and make something beautiful together. Many thanks for all the continued support.